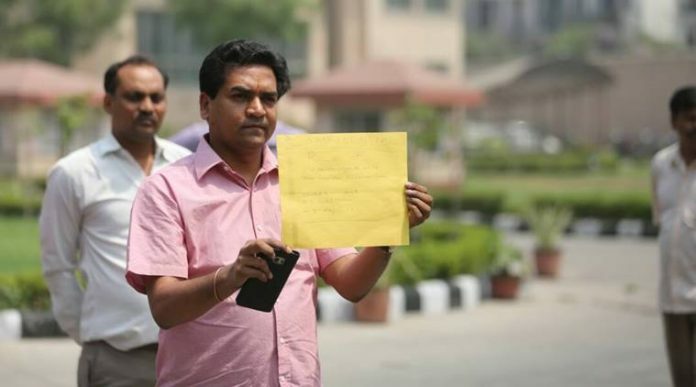 SPK News Desk : An embattled Arvind Kejriwal tweeted on Monday that truth will prevail after his Aam Aadmi Party (AAP) suspended its sacked water minister, Kapil Mishra, who has accused the chief minister of taking Rs 2 crore from a cabinet colleague. Kejriwal was silent since Mishra questioned his integrity on Sunday and accused him of taking a bribe, shielding people linked to a 2012 water tanker scam, and for being party to a land deal that benefitted a relative. The chief minister, who came to power two years ago by vowing to root out corruption, tweeted that truth will win and set the agenda for Tuesday’s special assembly session. Fireworks are expected in the day-long session as Mishra and Kejriwal may come face-to-face since the controversy broke out. The AAP’s political affairs committee (PAC) decided to suspend Mishra on Monday night after he dared the party to sack him. The 36-year-old Mishra continued his tirade against the party leadership and demanded the removal of health and PWD minister Satyendra Jain, whom he had accused of giving Kejriwal Rs 2 crore. “I challenge every PAC member to throw me out of the party. The AAP is not the party of four or five persons. It is the people’s party and people will decide who should remain in the AAP,” he challenged before the meeting. The former minister alleged that a Rs50-crore deal was arranged for the AAP chief’s brother-in-law. “Satyendra Jain told me that he has arranged a seven-acre land deal in Chattarpur for Kejriwal’s brother-in-law, the Bansal family. Being the PWD minister, he fudged bills up to Rs 10 crore in the department to benefit Kejriwal’s relative,” he alleged. For his part, Jain dismissed the allegations, and sources close to him said he will file a defamation case against Mishra, who has accused him of visiting the chief minister’s home on Friday and giving the money. Mishra has “lost his mental balance” and was thus “speaking nonsense”, Jain said. The ousted minister Kapil Mishra accused the party seniors of indulging in corrupt activities during the Punjab assembly elections and last month’s Delhi civic polls. He said the AAP’s poll candidates in Punjab had to pay massive sums of money to the party. He alleged that AAP leader Sanjay Singh was involved in lobbying for overseas funding of the party. His fresh salvos came after he went to the anti-corruption bureau’s headquarters in New Delhi and apparently submitted an envelope containing his complaint against the AAP leadership over a 2012 water tanker scam. 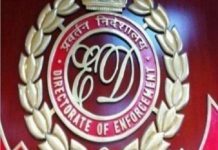 He accused Kejriwal and two of his associates of trying to shield former chief minister Sheila Dikshit of the Congress, who is an accused in the scam. “I told the ACB officials that Kejriwal deliberately delayed the report and public money was misused. Kejriwal along with his two men affected the tanker scam probe. They tried to shield Sheila Dikshit again and again,” he said.